BEST ONE BED OPTION AVAILABLE!! 1st floor with in-apartment laundry! This private, corner one bedroom, one bathroom apartment offers you 623 square feet of space and includes a kitchen with matching Whirlpool appliances including dishwasher, garbage disposal, and over-the-range microwave!! Walk-in closets and a secluded balcony with outside storage are also a must! With this STEAL this apartment won’t last! At $1,120/month this apartment will be ready for move-in on May 7th! Renovated one bedroom for June 23rd!! This private one bedroom, one bathroom corner apartment is on the 4th floor and offers you 623 square feet of space and includes a kitchen with matching stainless steel Whirlpool appliances including dishwasher, garbage disposal, and over-the-range microwave!! In-apartment laundry, walk-in closets and a secluded balcony with outside storage are also a must! Plus, it also has a stellar view! Modern gray paint isn't all though, it also features white kitchen and bathroom cabinets and granite counters to match! 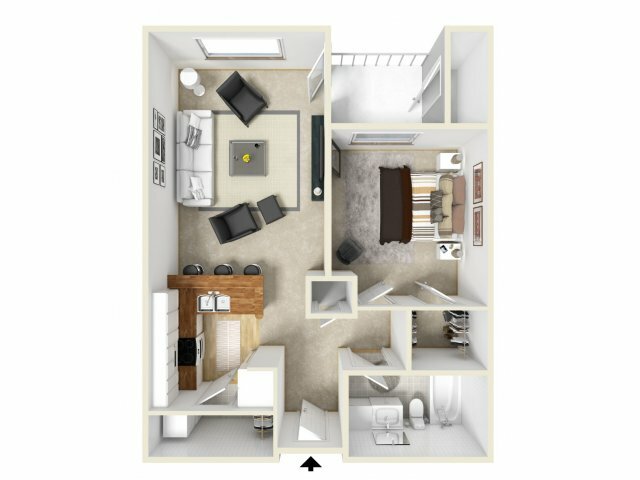 At $1,190/month and ready for move-in on June 23rd!